Some months back, I made a passing reference to the Airmail Cocktail. The Airmail deserves more attention, and what better time to talk about champagne and rum than New Year’s Eve. I remember when there really was something called “air mail”—the thin paper, the special envelopes with the barbershop piping along the edges, the marvelous stamps, the promise of delivery to faraway places in only a couple days. And I didn’t notice it had faded away. Such is progress. But in the early days of aviation, it was important technology, and countries worldwide spent years perfecting their air mail systems and routes. Cuba was no exception. In 1930, the Cuban government began regular air mail service on the island. It was a big deal—they’d been working on it since around 1914—another step in the modernization of the island. The commemorative Airmail cocktail appeared soon after, in one of Bacardi’s promotional pamphlets. There’s no way to know if the drink was a Bacardi invention, or something that they picked up from popular Havana bars. Structurally, it looks much like a Daiquiri, but as Jeff Berry reminds us in his Potions of the Caribbean , the Daiquiri itself is derived from a much older drink, the Canchánchara. The Canchánchara (or, as Berry spells it, Chanchánchara) is probably from the mid-eighteenth century, a rustic drink possibly invented, certainly popularized, by the early Cuban freedom fighters during their war for independence from Spain. 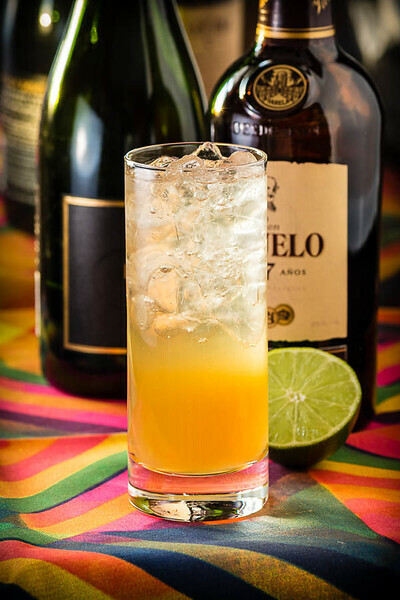 Canchánchara was a mix of aguardiente de caña (more similar to rhum agricole than to molasses-based rums), lime, and honey or molasses—a sort of blue-collar Daiquiri. If you think of the Daiquiri as an upscale Canchánchara, then the Airmail is sort of a dressed up Daiquiri. Shake first three ingredients with ice until cold; pour unstrained into a tumbler or Collins glass. Top up with champagne. Optionally garnish with a lime wheel. In the old days, this was almost certainly made with good Cuban Bacardi. The modern Bacardi that we get in the US is from Puerto Rico, and not the same rum that made the company famous. If you live in a country that can import Cuban rums, definitely use them, and my hat is off to you. If you live in the US, there is no legal Cuban rum (despite the recent thaw in US-Cuban relations), so pick your favorite gold rum for the Airmail, and experiment from there. As it happens, I’ve found that the Bacardi 8 seems to work well, as does the Ron Abuelo 7. 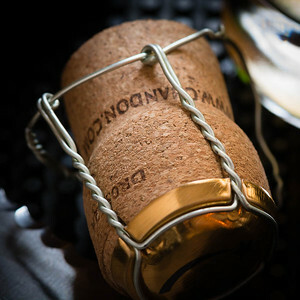 Any decent, dry sparkling wine works well in this drink—a good prosecco or cava works as well as a champagne. Mumm Napa brut seems to have become our current house sparkling wine, and it works very nicely. The classic presentation is a Collins glass or a tumbler. The lime garnish is optional. I read somewhere that, in the old days, bartenders used to attach air mail stamps to the glass as a garnish. It’s an amusing concept, but a little expensive these days. The Airmail’s Flavor is slightly sweet, and dominated by the honey. The trick is to get the honey and lime in perfect balance, so the Airmail presents the usual continuous adjustment opportunity, as your limes and honey change with the seasons. The Airmail, despite its formula, doesn’t taste at all like a Daiquiri. The rum gets buried a bit, and the flavors of the honey and the sparkling wine come to the fore. As it turns out, I certainly don’t miss sending letters by air mail. But I do miss the idea of special missives, messages so important that we are willing to buy special stationery and special stamps, and impress the receiver with our extra effort. Slow mail seems to be the special mail now, extra effort shown by the simple handwritten thank-you card. So I raise my Airmail cocktail to all those who made air mail possible, something special and exciting, and helped to pull us into a future where their achievements are everyday possibilities. Here’s to the air mail of history. “A return to Havana: the Airmail Cocktail” at cold-glass.com : All text and photos © 2014 Douglas M. Ford. All rights reserved. Doug, Happy New Year! Fantastic drink. Thank you, Glenn, it’s great to hear from you. I wish a great New Year to you, too, and to your family. OMG! This is such a delicious way to ring in the new year! We used Zaya Gran Reserva as our rum and Asti instead of champagne, but it all worked. Yum!! Happy New Year (and thanks)!! Zaya sounds like a good choice, what a great idea. I’m glad you enjoyed it, thanks! The Old Cuban appears to have its roots buried here. Al—sorry I missed this comment until now. Old Cuban, yes—add some mint and you’re good to go! Thanks for the observation.